When Conor McGregor returns to face lightweight champion Khabib Nurmagomedov at UFC 229 the hype surrounding it will be thick enough to physically touch. 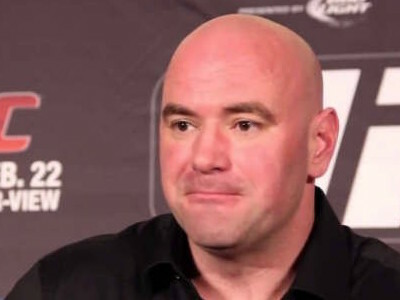 The expectations for the pay per view numbers are very high and if you believe what Dana White told TSN Sports it is around the two million mark. We’re looking at two million pay-per-view buys. There was really no problems putting this fight together. It’s what makes Conor McGregor such an international superstar. This guy fights anybody, anywhere, any time. After a two-year layoff, he comes right out of the gate and wants Khabib and Khabib, who’s undefeated and obviously destroyed everybody in front of him, wants this fight now and wants to defend his title against Conor McGregor. According to Tapology the two highest PPV numbers in UFC history are 1.6 million for UFC 202 and 1.3 million for UFC 196. Both of those featured Conor McGregor in non championship bouts. McGregor will be coming off the most hyped boxing match in recent years in which he took Floyd Mayweather Jr. in to the tenth round plus he hasn’t competed since becoming the first two division champion in UFC history when he beat Eddie Alvarez in New York back in 2016 at UFC 205. Khabib is the new lightweight champion and he wants to fight Conor very badly so we expect the build up to be strong. Khabib isn’t a household name but he soon will be once Conor’s mouth gets in motion. I would expect the fight to garner a lot of mainstream interest which will guarantee at least 1 million buys.